New programming and some dates to remember. 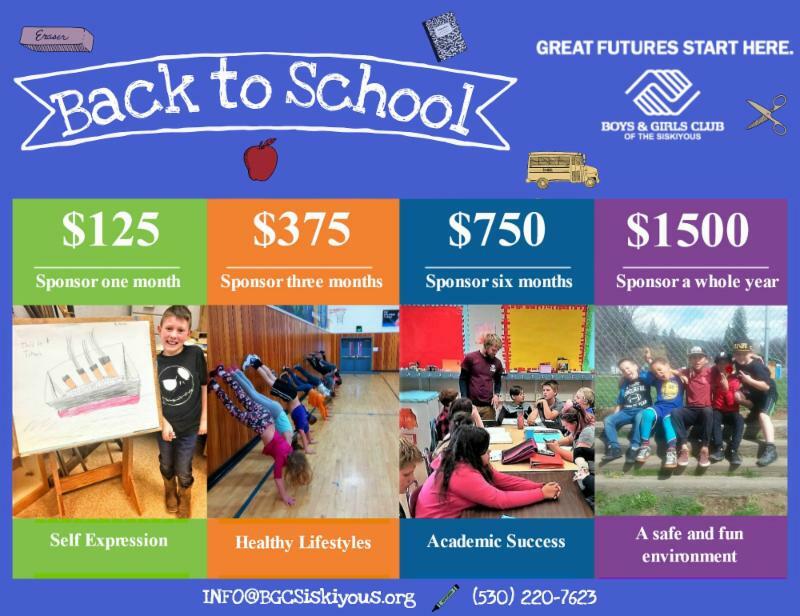 Hello, Boys & Girls Club of the Siskiyous' Supporter! Our 2018-2019 After-school program has taken off with flying colors with many new members joining us this year. Our staff is eager to share our new programs with all the members. This year we are offering an advanced violin class, in collaboration with Music by the Mountain, a 12-week program happening on Tuesdays in the Sisson Middle School music room with instructor Carolyn Carl. The cost is $60 in addition to the Club's $20/year membership fee, which allows us to offer special programming such as this. Sign-ups are happening now! If you miss this round, we will have more of these and other types of specialty programs! We are always grateful to all of you who continue showing your support to the youth that need us the most. It takes a village to create GREAT FUTURES. 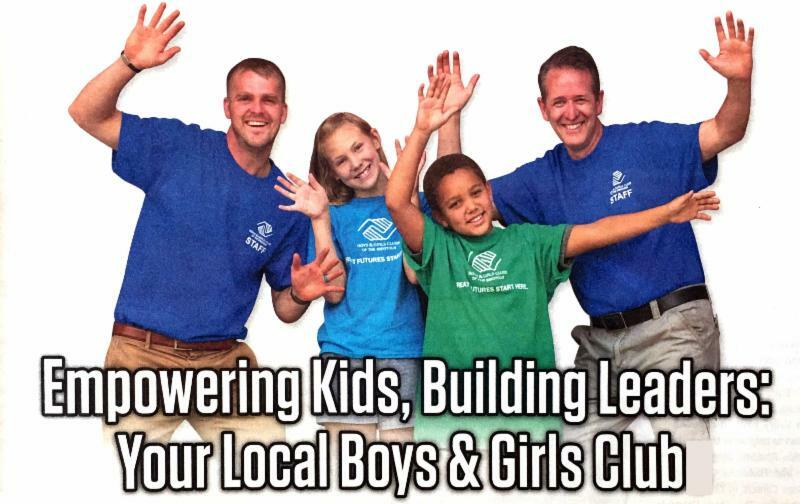 Scroll down to get information on how to sign up your kids and/or get more involved. PARENTS, PLEASE NOTE: The Club will be closed the week of September 10 through 14 due to staff trainings. We apologize for the inconvenience. We are now offering violin lessons at the Club to students who have had some violin experience and want to advance. 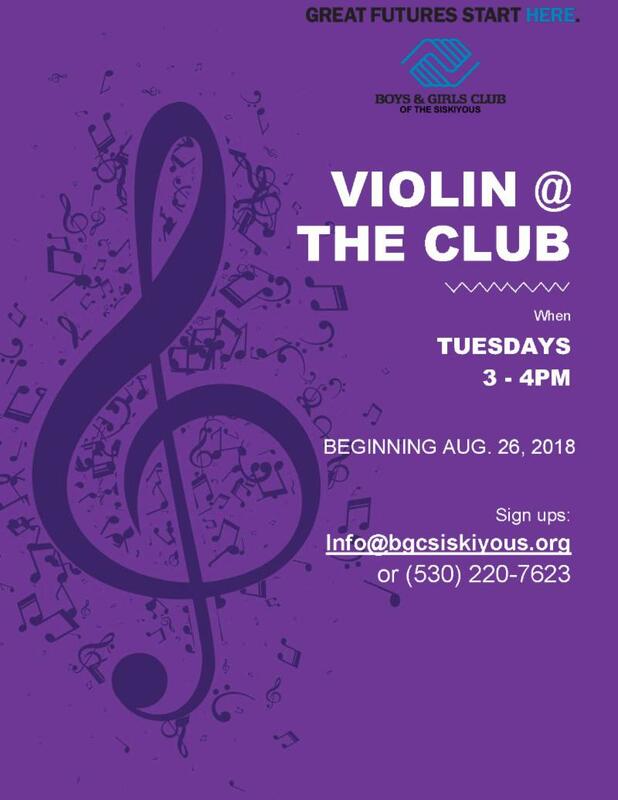 In collaboration with MUSIC BY THE MOUNTAIN , the Boys & Girls Club of the Siskiyous hosts Instructor Carolyn Carl, professional violinist with Symphony Silicon Valley, who has recently moved to Siskiyou County and has taught privately and in schools for many years. Ms. Carl will also be assisting with the College of the Siskiyous Orchestra as concertmaster this fall, has a teaching credential and has performed with the Memphis Symphony, the Springfield (Illinois) Symphony and at the Britt Festival. 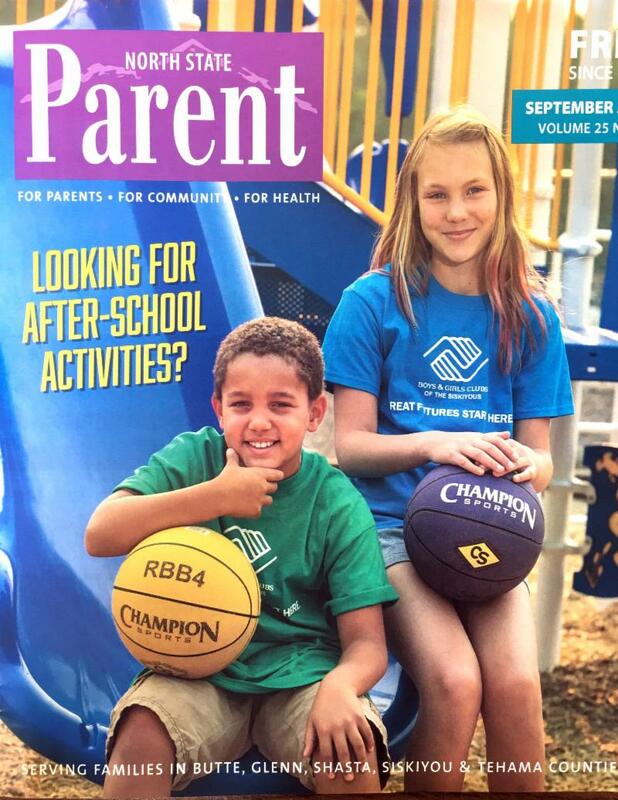 Thank you, North State Parent Magazine! Check out the article by clicking below. Want to Sponsor a Child? 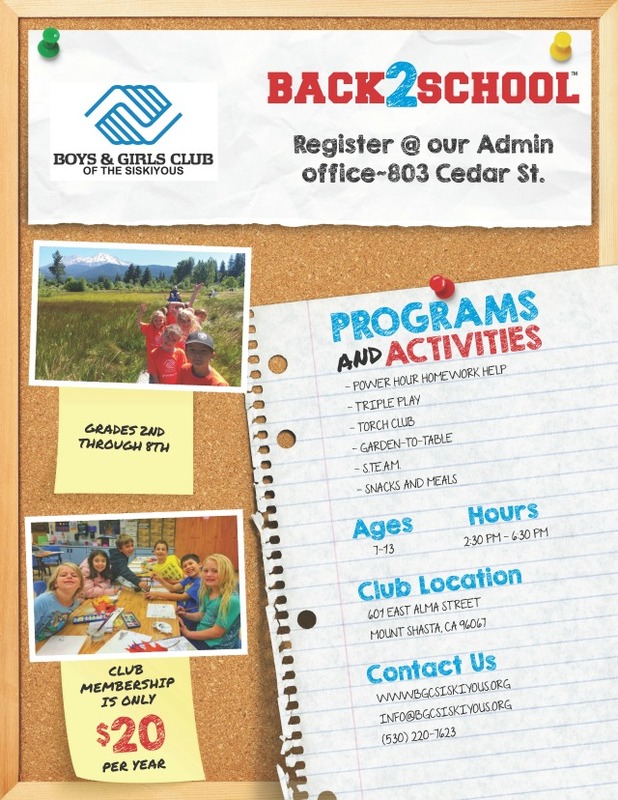 Don't Forget to Sign up Your Child for our After-School Programs! Snacks and light meals are provided. Power Hour - Homework Assistance is available as well as our other great programs such as Triple Play and Garden-to-Table. Amanda is an energetic and outgoing staff member. She is committed to her community and the development of young minds. 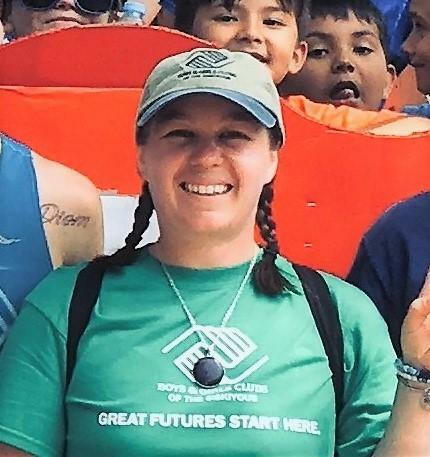 She offers mindfulness and positive leadership to all the Club members. In her spare time she practices yoga and spends as much time as possible with family and nature. Volunteer and make the difference in a child's life. We envision healthy, empowered and engaged youth who appreciate and respect themselves, each other, their families, the community and the environment. We empower youth to reach their full potential as responsible, caring and productive citizens through professionally led programs and activities that are fun, positive and relevant in a safe, supportive and healthy environment.